Ubisoft’s sword fighting game For Honor is highly anticipated, and the company announced today that the open beta is coming soon. The beta will run from February 9th through the 12th with the official launch happening on the 14th. The For Honor beta includes four modes: Dominion, Duel, Brawl, and Elimination, and 9 heroes. The full game includes 12 heroes and five game modes, so while the open beta does not include the entirety of the game, players will be able to experience the majority of content for free in the open beta before making the decision to purchase. Though there is a single player and co-op campaign, For Honor’s gameplay mainly revolves around PVP and features visceral and rewarding combat using a variety of classes and melee weapons. Players can choose between Knights, Vikings, and Samurai and have several combat options available for each class. Opt for one-on-one combat in Duel mode or team up with a friend in 2v2 Brawl combat. 4v4 combat is also available in the form of Skirmish and Elimination modes. 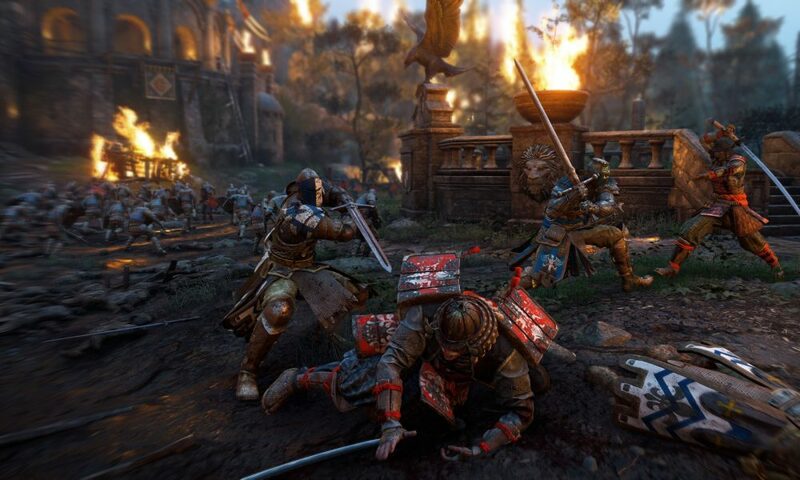 Although there are five total game modes in For Honor, the core gameplay is focused around Dominion, a 4v4 control point battle with additional AI soldiers. Those looking to upgrade their PC’s specs in order to run For Honor at higher graphics will be happy to hear of a partnership between NVIDIA and Ubisoft. Players who purchase an NVIDIA branded PC, a GeForce GTX 1080, or a GTX 1070 will be able to choose a free code for either For Honor or Tom Clancy’s Ghost Recon: Wildlands.